We believe transparency and accountability in a cremation provider are essential. Therefore, we have placed standards well above what Oklahoma law requires and that no other cremation provider can compare. The most important component in your choice of cremation is to know who owns and operates the crematory. Since 2009, we have operated our own crematory. Because we control all aspects of the cremation process, you are ensured of the highest standards of honesty, accountability and trust from our superbly trained, licensed staff. Knowing your our loved one never leaves our care will give you that much needed peace of mind.Our directors may be reached 24/7 at (918) 291-1704 to answer any questions you may have, or to set up an appointment, at no obligation. What makes Cremation Care Centers Unique when it comes to cremation? Higher Standards – Our family’s philosophy is to set standards for every aspect of cremation that exceeds the State requirements as well as those of other cremation providers. Our Crematory – We own and operate our own crematory located at our Glenpool facility for the exclusive use of the families we serve. Most providers do not own their own crematory and many outsource the entire process from the transfer and refrigeration to the cremation without ever identifying your loved one. In Our Care – Once your loved one is in our care, they remain in the sanctity of our facility until the urn is returned to you or delivered to the service location. Many companies have multiple transfers of the body prior to reaching the contracted crematory and after the cremation, the urn maybe transferred multiple times until it returns to the family. Peace of Mind – We require all of our families to provide a recent, color photograph for a positive means of identification of their loved one. Relying on the types of identification forms from other care facilities (hospitals, nursing homes, and the medical examiner) are not acceptable to us and do not meet our standards of care. Three of our staff members will positively identify your loved one prior to cremation. Very few, if any, cremation providers in our profession require a positive means of identification as a minimum requirement. Quality Assurance – We have a checklist to which we adhere before, during, and after the cremation process, to insure the quality and care of every family we serve. 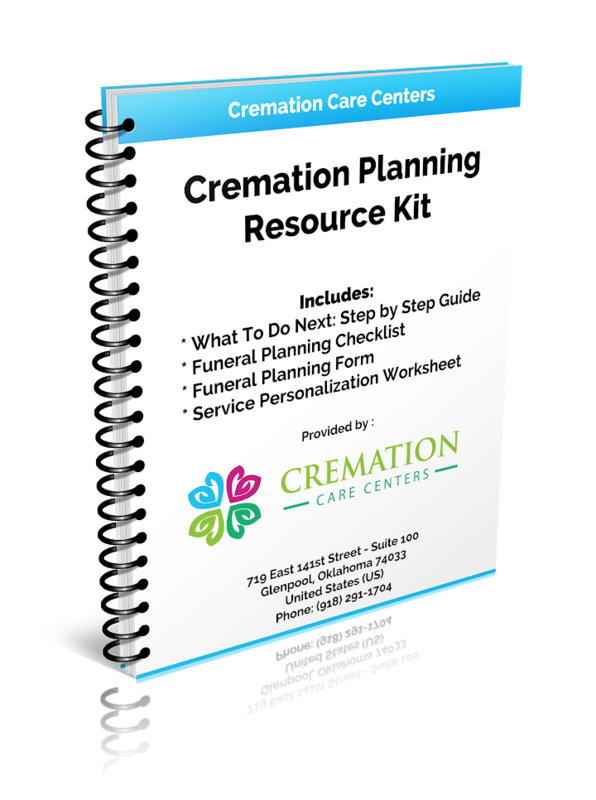 We have found most people are not aware of their options in regards to cremation. Cremation offers you many different choices for honoring your loved one. Public or Private Visitations – A time to say goodbye face to face in a peaceful tranquil setting, gives your friends & family the opportunity. You can write a letter, place a photograph or favorite keepsake with your loved one. Funeral Service – A traditional funeral service denotes the physical presence of the body. This would occur whether you choose ground burial or cremation after the service. A funeral service may be held in our chapel, at your church, or at another venue of your choice. A funeral service may contain opening prayers and/or remarks by clergy or someone you designate to preside. It may also include special music, video presentation, readings, poems, eulogies and/or prayers. The funeral service can conclude with either ground burial at a local cemetery or cremation at our on-site crematory. Memorial Service – A memorial service can mirror a funeral service, with the exception of having the Urn present or not. It would conclude much like the funeral service with burial at a local cemetery. Cremation memorial services also offer unique options of scattering at sea, or the urn may remain in your personal possession. Our staff is knowledgeable in all faith traditions and customs so we can attend to each specific ceremony. If you are not affiliated with a local church, synagogue or parish, our staff is prepared to help you obtain a pastor or chaplain to preside at your service. Graveside Service – A Graveside Service is a ceremony held at a cemetery of your choice, attended by family and friends. Most graveside services would take place right after the funeral or memorial service. However, you may also request a private graveside service prior to a memorial service at our chapel or a church of your choice. You may also want to include any of our Service Enhancements to create a more personalized service. Witness Cremation/Witness Processing – Many families want to witness the cremation as well as the final processing of the cremated remains. This may be for religious or cultural reasons, or to say a final goodbye. Others may do it for a more practical reason of assurance and peace of mind that their loved one is cared for properly and respectfully. Because most mortuaries do not operate their own crematories, this cannot take place. We offer this option to you and encourage you to do so. One of the reasons we wanted our own crematory was the transparency it provides our families. It gives those who want to witness the cremation for ceremonial or religious purposes, or for greater peace-of-mind, the certainty that everything will be carried out just as we promised. This is why we offer the public an opportunity to see our crematory for themselves. If you are interested, we invite you to call one of our directors anytime at (918) 291-1704 to answer any questions you may have, or to set up an appointment, at no obligation.